This Privacy Notice is provided to you by Thurleigh Parish Council which is the data controller for your data. � in order to comply with legal requirements and obligations to third parties. � These types of data are described in the GDPR as “Special categories of data” and require higher levels of protection. We need to have further justification for collecting, storing and using this type of personal data. � In limited circumstances, with your explicit written consent. � Where we need to carry out our legal obligations. � Where it is needed in the public interest. � Less commonly, we may process this type of personal data where it is needed in relation to legal claims or where it is needed to protect your interests (or someone else’s interests) and you are not capable of giving your consent, or where you have already made the information public. � In limited circumstances, we may approach you for your written consent to allow us to process certain sensitive personal data. If we do so, we will provide you with full details of the personal data that we would like and the reason we need it, so that you can carefully consider whether you wish to consent. � Used lawfully, fairly and in a transparent way. � Collected only for valid purposes that we have clearly explained to you and not used in any way that is incompatible with those purposes. � Relevant to the purposes we have told you about and limited only to those purposes. � Accurate and kept up to date. � Kept only as long as necessary for the purposes we have told you about. � Kept and destroyed securely including ensuring that appropriate technical and security measures are in place to protect your personal data to protect personal data from loss, misuse, unauthorised access and disclosure. � On occasion, other local authorities or not for profit bodies with which we are carrying out joint ventures e.g. in relation to facilities or events for the community. � At any point you can contact us to request the personal data we hold on you as well as why we have that personal data, who has access to the personal data and where we obtained the personal data from. Once we have received your request we will respond within one month. � There are no fees or charges for the first request but additional requests for the same personal data or requests which are manifestly unfounded or excessive may be subject to an administrative fee. � If the data we hold on you is out of date, incomplete or incorrect, you can inform us and your data will be updated. � If you feel that we should no longer be using your personal data or that we are unlawfully using your personal data, you can request that we erase the personal data we hold. � When we receive your request we will confirm whether the personal data has been deleted or the reason why it cannot be deleted (for example because we need it for to comply with a legal obligation). � You have the right to request that we stop processing your personal data or ask us to restrict processing. Upon receiving the request we will contact you and let you know if we are able to comply or if we have a legal obligation to continue to process your data. � You have the right to request that we transfer some of your data to another controller. We will comply with your request, where it is feasible to do so, within one month of receiving your request. � You can withdraw your consent easily by telephone, email, or by post (see Contact Details below). 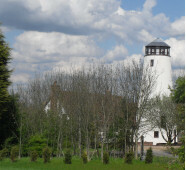 � You can contact the Information Commissioners Office on 0303 123 1113 or via email https://ico.org.uk/global/contact-us/email/ or at the Information Commissioner's Office, Wycliffe House, Water Lane, Wilmslow, Cheshire SK9 5AF. We keep this Privacy Notice under regular review and we will place any updates on. 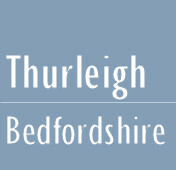 www.bedsparishes.gov.uk/thurleigh-parish-council This Notice was last updated in April 2018.